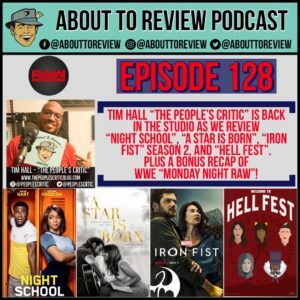 The grand return of Tim Hall “The People’s Critic” to the studio as we talk about “Night School”, “A Star is Born”, “Iron Fist” season 2, and “Hell Fest”! After all that, we give a recap of Monday night RAW which we saw live in Seattle! 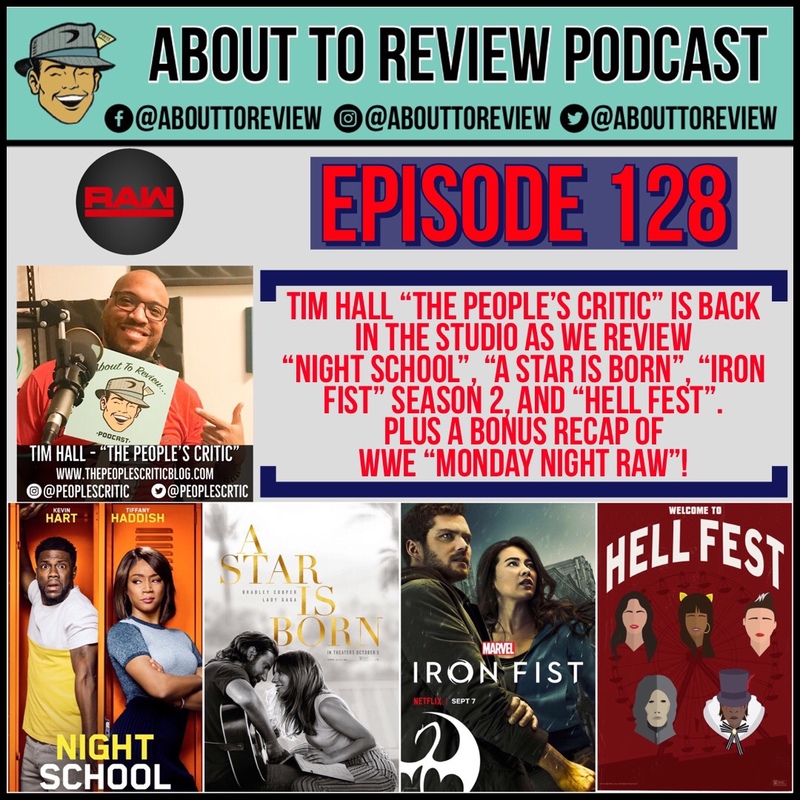 Joining me in the studio this week is Tim, and we review the new comedy from Kevin Hart and Tiffany Haddish “Night School”, the incredible directorial debut of Bradley Cooper in “A Star is Born”, the much improved season 2 of “Iron Fist”, and finally “Hell Fest”. Tim and I also had the privilege of attending “Monday Night RAW” at Key Arena here in Seattle and we talk about that, considering it was my first time ever going to a professional wrestling event!